Want to know their itinerary on January 28? Thousands of riders are expected to storm the Robinsons mall in Novaliches, Quezon City, on Saturday (January 28) to witness nine-time MotoGP champion Valentino Rossi and teammate Maverick Viñales of the Movistar Yamaha team lead the kickoff ceremonies for the 2017 Yamaha Grand Prix 8 race. It will be second time for Rossi to visit the Philippines and it will be the first for the 22-year-old Viñales. The Italian rider, popularly known as “The Doctor,” will celebrate his 38th birthday this February 16. It can be recalled that Rossi first took a day trip to Manila in February 2014 to attend the Yamaha GP 5 race event in Sta. 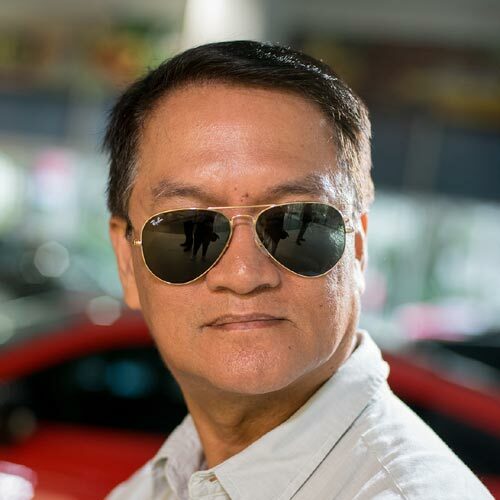 Rosa, Laguna. He took a quick break from his practice runs at the Sepang International Raceway in Malaysia before proceeding here. Last February 5, 2016, it was the turn of then Yamaha MotoGP rider Jorge Lorenzo to visit the Philippines for the opening of the GP 7 at the Carmona Racing Circuit in Cavite. However, after the 2016 MotoGP season, Lorenzo left the Movistar Yamaha team and joined Ducati for this year’s race. On January 28, organizers said Rossi and Vinales will hold a press conference which will be attended by a selected group of motoring media upon their arrival at the airport. By 11am, the two MotoGP riders will join Yamaha Motor Philippines, led by its president Toru Osugi, in another press conference at Robinsons Novaliches. There, they will stage a ceremonial lap for the 2017 Yamaha GP race opening, on a makeshift track prepared by Sonicboom Motorsports at the mall parking area. 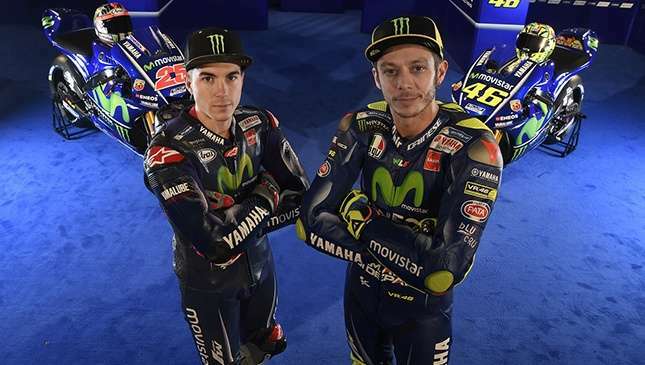 The two riders will ride race-prepared Yamaha Sniper 150 MXi bikes while wearing their racing leathers with the official Team Movistar Yamaha patches. One hundred riders have registered for the Yamaha GP 8 race and will likely have the chance to mingle with Rossi and Viñales. The race categories include 150 Open Underbone FJ, 130 Open Underbone, 115 Vega Force I (intermediate and novice-one make race), Sniper 150 MXi (expert-one make race), 160 AT Open, Fun Race Underbone FJ (beginners), and Fun Race AT FJ (beginners).